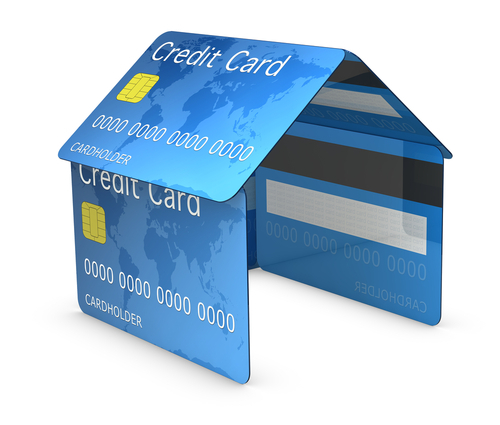 Is It a Good Idea to Pay Mortgage with Credit Card? You’ve got a mortgage and a credit card—join the club. That makes you very similar to roughly two thirds of the wage earning American population. Now, if you’re a member of that extended category, you’ve probably already asked yourself a common question: ‘can I pay my mortgage with a credit card?’ The short answer is that you might be able to. However, as several financial experts suggest, including one of Time magazine’s reputed contributors, just because you can pay a certain bill with your credit card, doesn’t necessarily mean you should. The paying mortgage with credit card option seems particularly appealing for holders of rewards cards. They base their judgment on the notion that the larger the payment, the more substantial the reward. Though at first glance this may seem like sound logic, on paper the numbers don’t always add up. In fact, if you opt for this, you might find that you’re wasting more money than you’re saving. So let’s take a quick look at what you need to do in order to avoid finding yourself in such a situation. Q: Would a mortgage transaction come with any fees? Why it matters: Large transactions like mortgage payments can be very costly to process. It all boils down to the type of credit card you’re using—for some cards the bank will cover the transaction processing costs, but not for all of them. If they’re not paying for it, chances are you will have to take care of the expenses, which usually means paying through your nose for them. Q: How will the transaction be processed? Why it matters: Transaction fees are very important, but so is the actual payment process. One recent story featured an individual who found out that his mortgage payment was processed as a credit card cash advance. As you may already know, cash advances are hugely expensive in terms of interest rates. To add insult to injury, they also start to accumulate interest the second they’re approved, so that person was in for a rather big, unpleasant, and expensive surprise, when they tried to save money. Q: How do the transaction fees match up with my rewards? Why it matters: Any transaction fee that’s higher than the reward you’d receive for it would effectively mean you’re paying money to pay money. Say your reward is a 1.6 per cent cash back prize on every purchase. If the processing fee for the mortgage payment amount to more than that, we strongly suggest that you reconsider. What if there are no transaction fees? There’s also the possibility that yours is a rare, but happy situation. Though most lenders stopped offering borrowers the option to make mortgage payments with their credit cards, some still do—and some cards come with no transaction fees, and/or sizable cash or frequent flyer mile rewards. More often than not, though, the lenders that do allow mortgage payments via credit card will offer no reward. That’s because they list such transactions as bill payments, with a specific list of companies you can pay those bills to. That being said, if you find yourself in such a scenario and are still left wondering how to pay mortgage with credit card transactions, you should only opt for it if there are no processing fees. You’ll then be able to cash in on the float: the time between paying for your mortgage and the deadline on your credit card bill. This means you’ll be accumulating a couple of weeks’ worth of extra interest. With the currently low interest rates on savings and deposits, this won’t amount to much, but at least you won’t be losing any money. Alternatively, you can pay off your mortgage with your credit card via third-party services, but these usually charge fees that exceed most rewards. The only option to still come out ahead is if your credit card comes with a cash back reward that applies to the principal amount owed on your mortgage. This way, there will always be some extra money automatically going toward repaying a major debt.